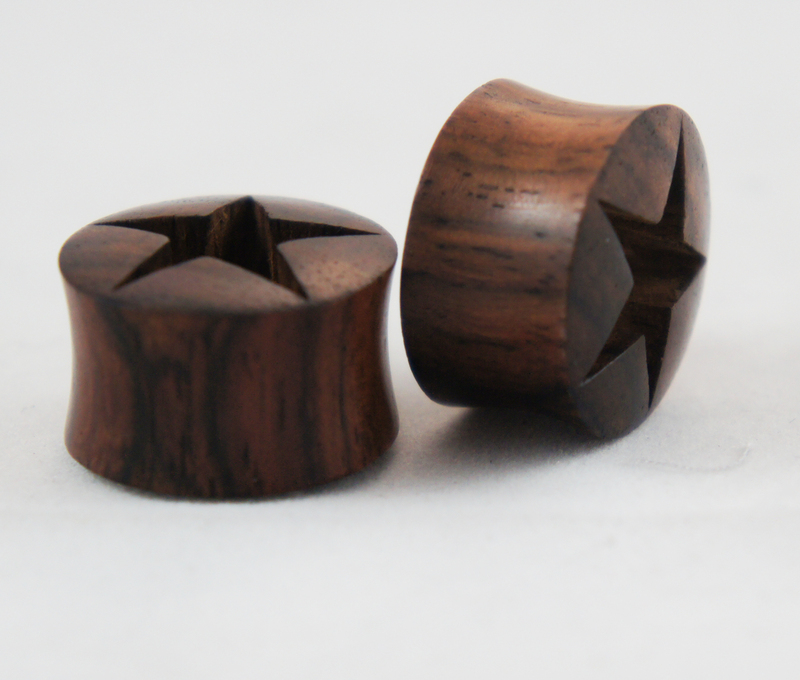 Our flared set of gauged flesh tunnel plugs with star cut out is our spin on this popular style. 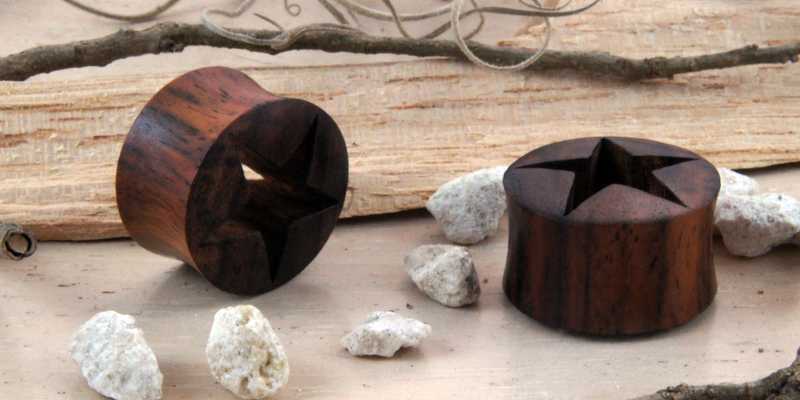 We've chosen a darker Sono Wood with its characterstic gradient of black and brown to carve the plugs out of and we couldn't be happier with the result. 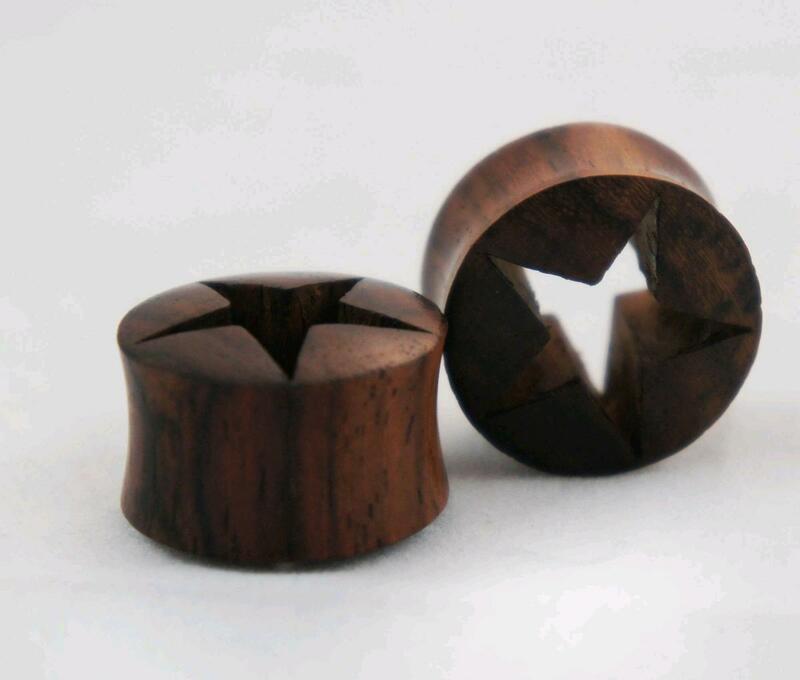 The textured wood grain and it's natural luster makes for a great looking set of ear gauge plugs. For sizing we typically have a wide range in stock but if you don?t see your ear gauge size listed please let us know. We regularly release new sizes and styles so if it?s not currently available now there?s a good chance it will be later.